First celebrated in 1970, Earth Day serves as an annual reminder to appreciate and protect our planet and all that it provides for us. 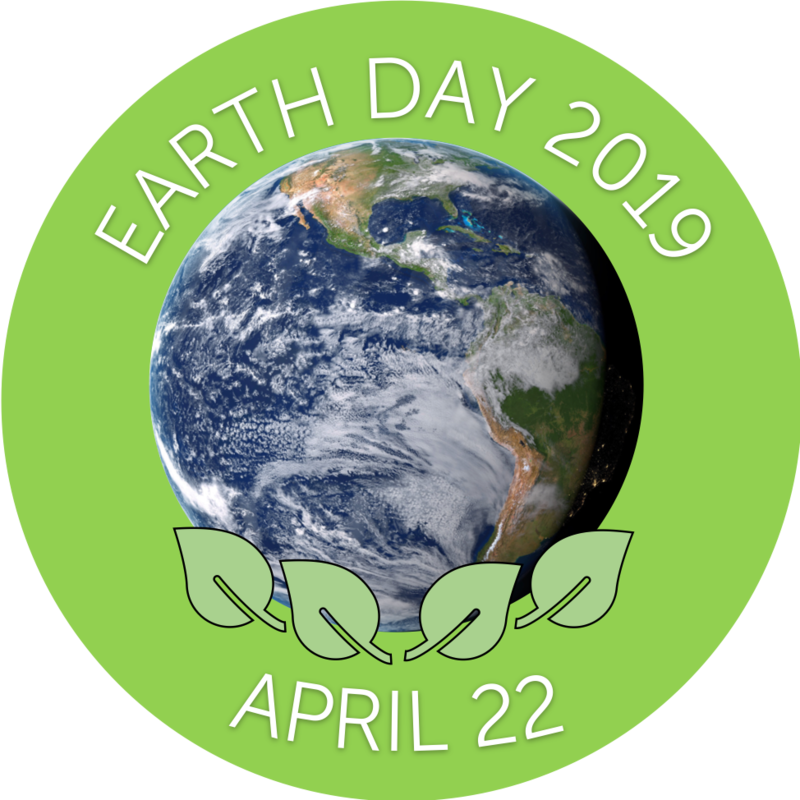 Earth Day (April 22) offers a good opportunity to dedicate classroom time to some of the critical issues facing the planet. Students can develop informed views on the issues through multimedia resource sets, much like popular text sets, including other media besides print. This blog post features sample podcast sets addressing various aspects of climate change, which can be used in tandem with print and video resources on similar topics. One of the most discussed issues on planet Earth right now, climate change is a big deal. Listenwise stories on the topic can fuel student discussions about this pressing contemporary issue. The podcasts highlighted below can be used in a variety of ways. One approach is to use one specific story to drive class discussion. For example, students might listen to “Urgent Climate Change Warning,” answer the listening comprehension questions online or in small groups, and then discuss the question, “What can you do to slow down the negative effects of climate change?” They might then pursue research on policies and practices that can help reduce the negative effects of climate change through additional stories. Alternatively, they might outline the different positions that people/companies/governments take on a particular policy related to climate change. 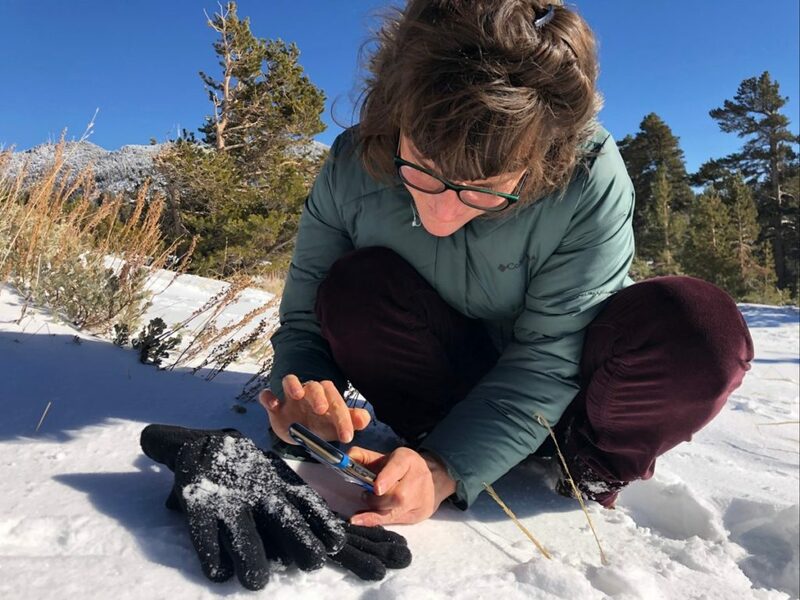 One way to take advantage of the diversity of stories in the Listenwise collection is to use a group of podcasts that will help students understand the complexity of climate change. For example, small groups of students might choose a particular result of climate change, such as extreme weather or endangered wildlife, listen to relevant stories answer associated questions, and then research the topic further. There are many different ways teachers might group Listenwise stories into podcast sets, potentially complementing them with other resources. Check out the sample podcast sets below for some great stories about climate change. Debate: Should People Rebuild on Coastal Property After Major Storms? Stories like these convey personal experiences of the effects of climate change on individuals. They can help students understand the impact of a global issue on a small scale. Students doing research projects can use anecdotes from these stories to bolster their theses with supporting details drawn from people’s lived experiences of climate change. These audio stories offer accounts of the effects of climate change on the animals and plants in various ecosystems. They illustrate how climate change forces the natural world to adapt, for better or for worse. In addition to providing materials for class lessons, these stories can help students choose a focus for independent research. 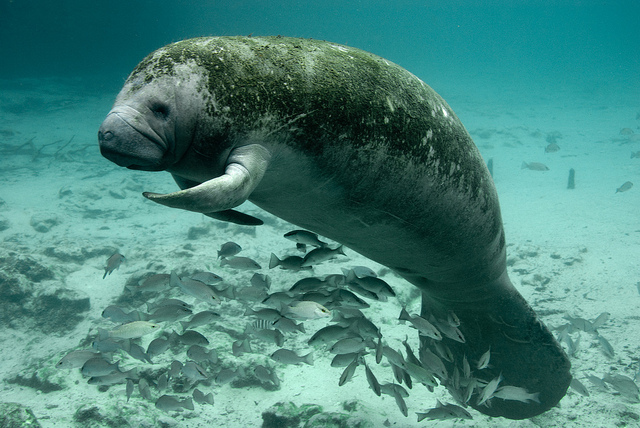 For example, after listening to the story Changing Ecosystem Threatens Florida’s Manatees, students might look up the Crystal River National Wildlife Refuge in Florida to find more information about manatees and their habitat. 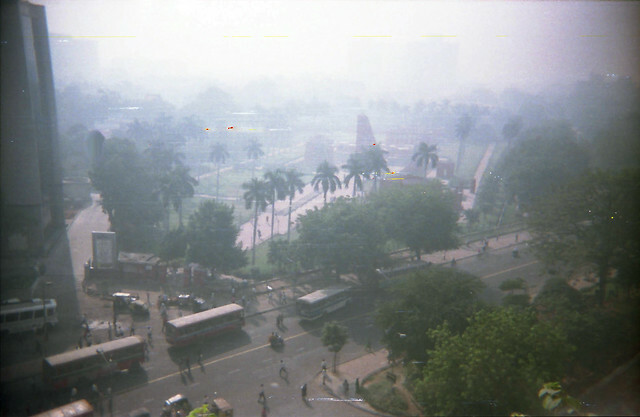 Debate: Which is More Important – Development or Preventing Pollution? Polar Ice Melting Is Unstoppable, How Should We Prepare? Another facet of climate change is public/corporate policy and governmental systems that influence its impact. Students can use the stories listed above to learn about some of the policy issues that climate change has spawned. Stories like these can provide students with an overview of a variety of policy issues and potentially guide additional inquiry. Climate change is an issue that students will continue to encounter in their academic lives and their everyday experiences. The Listenwise collection includes the stories mentioned above and many others on the topic. 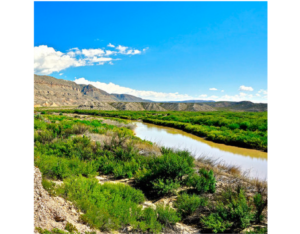 Using Listenwise podcast sets can help to engage students with digital resources while increasing their knowledge about climate change and its impact on the earth and those who inhabit it. 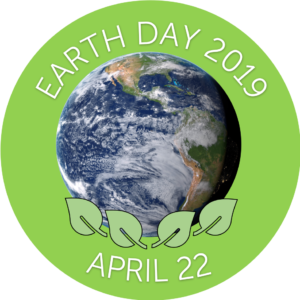 Check out our 2017 Earth Day and our 2016 Earth Day blog posts for more stories for one of the greenest holidays of the year. In late February Monica attended the California Association of Teachers of English (CATE) conference. 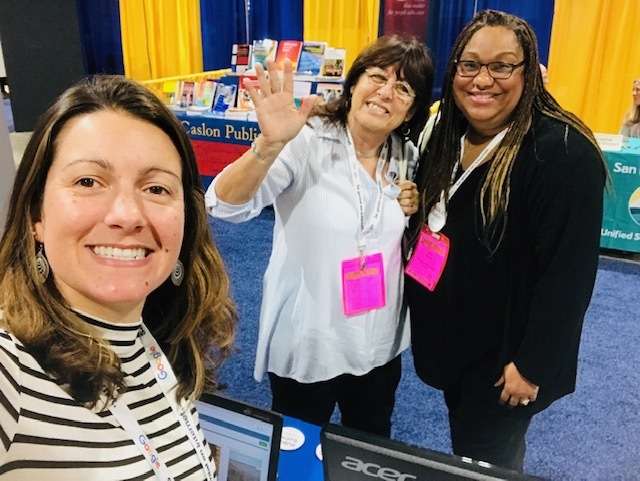 This year it was held in San Francisco, CA with the theme “Voices of Literacy in Pursuit of Human Rights.” It was exciting to meet so many devoted Listenwise teachers at our booth. One group of teachers from Iron Horse Middle School even told her they all left their substitute teachers with Listenwise lessons to use in class that day. What a great application for pre-made quizzes or differentiated assignments! If you missed Monica’s presentation or are interested, check out the slides on “Reimagining Literacy with World Class Podcasts: Why and How.” In her presentation she played a clip from one of our ELA teachers. Listen to Carolyn Brown share how she uses audio stories to address a wide variety of learning goals. 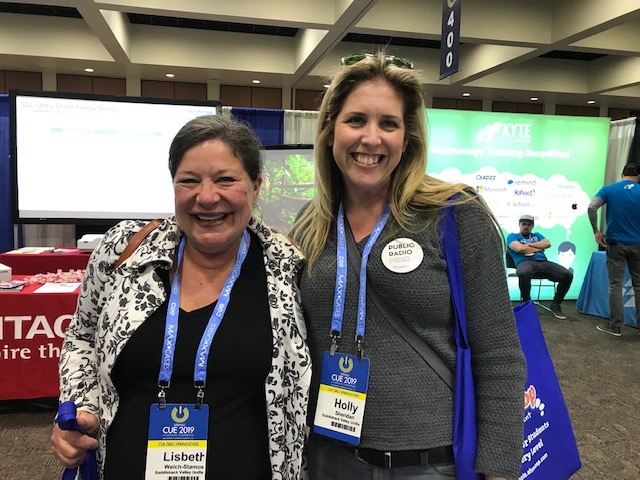 It was great to run into lots of customers and free teacher users, including our friends in Santa Maria Bonita, Bonita USD, LAUSD, and San Marcos. We were fortunate to be able to visit Tara Baldwin’s class at James Workman Middle School in PSUSD. She integrated Listenwise into her instruction to address all modalities of literacy: listening, speaking, reading, and writing. She also incorporated thinking maps into the lesson, which are great tools for synthesis and analysis of written and oral texts. In her station rotation model, she implemented StudySync, MY! Access, Flocabulary, and Rezzly. It was also great to connect with California partners at KQED and Facing History and Ourselves LA. We also got to spend time with teacher advocates Benton Lewis and Scott Petri. It was great to hear feedback about their classroom use of Listenwise and share some time away from work, just hanging out! We have heard the need for adding younger audio content and are thinking about how we can do that! Find pictures from CUE on our Facebook page. Our Listenwise Advocate, middle school social studies teacher Andrew Garnett Cook, was at California Council for Social Studies (CCSS) Conference exhibiting and presenting on “Engaging Students as Citizens of the World.” The focus of the presentation was using current events as a way to help foster an awareness of our global connection among students. Scott Petri, another Listenwise teacher advocate presented on “50 Minute Inquiry,” and you can find his slides here. It was great to meet our partners from Birmingham Community Charter School, Sanger, Santa Maria Bonita, Bonita USD, LAUSD, San Marcos and so many more! It is always a pleasure to see teachers in person and learn about how they use Listenwise! We are energized and committed to support our multilingual students! Find more pictures on our Facebook page. Stay tuned for more in-depth stories that we can share about how teachers use Listenwise in different ways in the classroom! Also, please feel free to share cool links and resources in comments from great PD, webinars, or conferences you have attended recently! In the third segment of our webinar series with Facing History and Ourselves, we further explore ways in which educators can pair high-quality teaching resources from both organizations, this time through the lens of teaching the Holocaust. While there are many topics for which Facing History and Listenwise resources pair well, this one serves as an especially illustrative example. In the webinar, we share Listenwise audio stories that complement these Facing History resources, particularly their Holocaust and Human Behavior program as well as their guide for Teaching Night. Current Event Debate: Should We Preserve Sites That Have a Shameful Past? 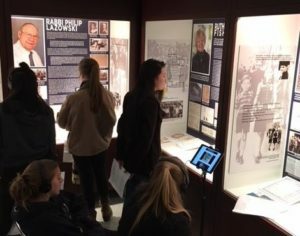 As you think about other topics you teach related to history, literature, and current events, particularly involving issues of ethics and human behavior, remember to check out Facing History and Ourselves and search Listenwise to find high-quality audio stories and related instructional resources to support your teaching. We know a lot about storytelling. And we like helping others tell their stories. That’s why EdSurge asked Listenwise to be part of a special Hour of Story project during their Fall Fusion conference. 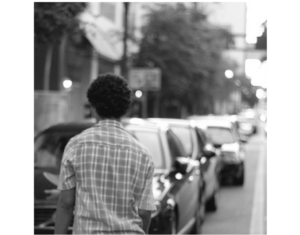 The result is a moving new 4-part podcast series called Teachable Moments. Check it out here. These teacher stories are inspiring and motivating. I was surprised by how quickly the storytellers became emotional when talking about a particular student, even if the events they described happened more than a decade ago. These powerful emotions don’t fade. Tell us about a specific time when you experienced great joy or overcame a struggle in your work. What surprised you about that experience? What would be one word that sums up what you experienced? 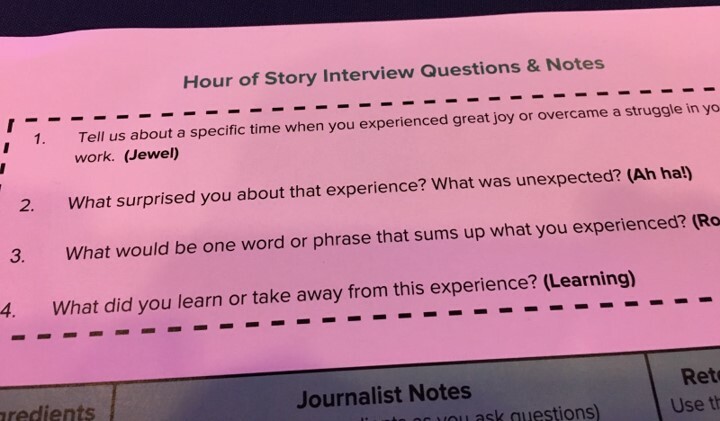 After asking these questions to a teacher called up to the main stage, she asked everyone in attendance to pair up at the table with another person and tell a story. The worksheet had additional prompts and a place for notes. I spoke with Rudy Ezcuy, a former middle school teacher who started an edtech company called Teach ‘N Kids Learn. He told me how he had a passion to make a difference. And he reflected on how as a trained engineer and then teacher he moved from a traditional job to re-engineering education as he called it with a company that focuses on professional development. After listening to his story for 3 minutes, I had to turn around and retell his story back to him using my notes on the worksheet. It was an amazing exercise. I learned that with a few guiding prompts anyone can tell a great story. As part of our participation in the workshop, Listenwise helped record these stories. I asked teachers at Fusion to come to the EdSurge Podcast Studio and retell their stories. The result is the 4-part series we launch with this tomorrow called Teachable Moments. I co-host the podcast with Sydney Johnson an assistant editor at EdSurge. In the podcast you’ll hear directly from educators who share important and sometimes challenging moments in their careers, and ultimately, what brings them joy in teaching. The first episode is called “Seeing Students Differently” because in each case teachers were surprised by an unexpected result. I hope you’ll be surprised and inspired by the power of these teacher stories. In 2016, George J. Ryan Middle School in Queens, New York joined the Listenwise community. We recently highlighted a snippet of our conversation with the George J. Ryan Middle School assistant principal in our Educator Experience Spotlight. Check that out here. We would like to expand on the George J. Ryan Middle School story by highlighting some more of the great things we heard when we talked to assistant principal Ajith Satya. Listen to what he says about the value of Listenwise and other quality curriculum materials. Ajith talks about how Listenwise was implemented at his school, and he makes the point that the teachers at George J. Ryan Middle School try to hit “all the different modalities in a lesson.” Listenwise stories have helped teachers at his school address the listening, speaking, reading, and writing skills they want to develop in their students. Next, we hear Ajith talking about a feature that we hear educators mention all the time. In the Listenwise platform, teachers and students are able to listen to the audio with interactive transcripts, making it even easier to follow along with the story. He mentions how this is especially helpful for English language learners. Students who have trouble following an audio story or who want to cite a quote can look at the interactive transcript and know exactly what was said. The transcript also has a few special features that provide students with additional support. For example, they can look up words that they don’t know using the TextHelp Toolbar or click on a word in the transcript to take them directly to that spot in the audio. Teachers can also choose to disable the transcript if they prefer to have students practice listening without the additional support. Next Ajith mentions curriculum mapping, which is one of the additional services that Listenwise provides for customers. With information about the topics and texts taught in specific classes, we can map Listenwise content to the curriculum to help teachers find stories that align with what they are teaching. 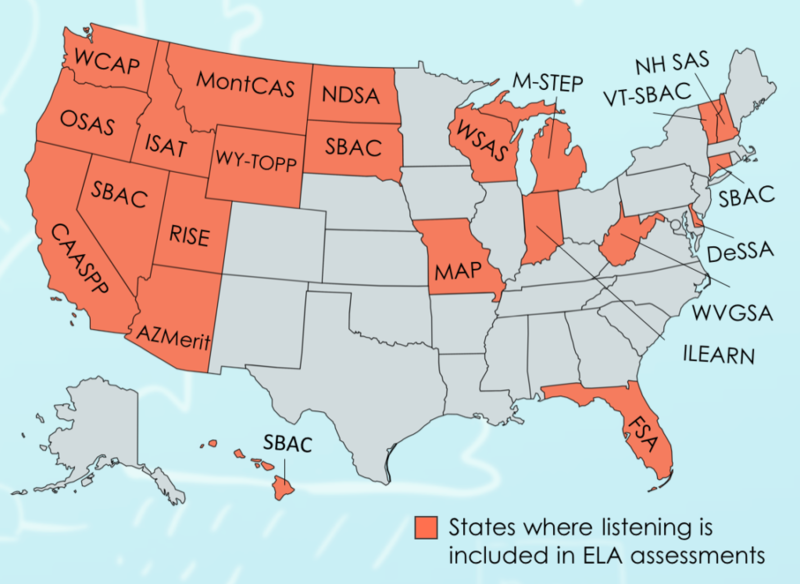 If you want more information about these implementation support services, please email sales@listenwise, and our team will be able to help you. Ajith mentions that the other thing students love about the Listenwise Current Events is that they are relevant, which helps students make connections between their lives and what is happening in the world beyond the classroom. Ajith also talks about how George J. Ryan Middle School is committed to integrating a variety of technologies in their school and how Listenwise fits into that plan. He returns again to this idea of using Listenwise to engage students in practicing a variety of skills in new and interesting ways. As Ajith explains, there is value in integrating different technologies into the classroom and school. Providing students with different ways of engaging with their studies and building their skills is really important. Listenwise provides opportunities to teach listening, and other literacy skills, in new and engaging ways. We would like to thank Ajith and George J. Ryan Middle School for talking to us about how they use Listenwise and for being valued customers. We would also like to say thank you to all the educators doing the important work of helping students learn. 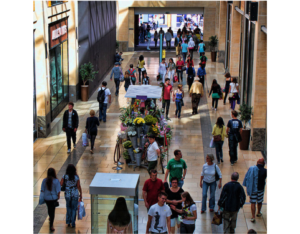 Part I of our series on App Smashing with Listenwise. 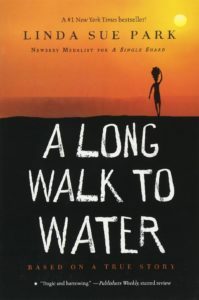 Last year, Linda Sue Park’s A Long Walk to Water was the Global Read Aloud middle grades book selection. We had used this book in the past, but we were thrilled to read the book with global partners using Flipgrid, a video discussion app, to share our thinking. Early in the school year, we introduced the Question Formulation Technique with students so they could develop their own questions as we read the book. Themes began to emerge from their inquiry – leadership, family/relationships, war/refugees, and, of course, water. This year, we used the same format and invited global partners, but we added resources from Listenwise to help students gain more insight into some of the themes. 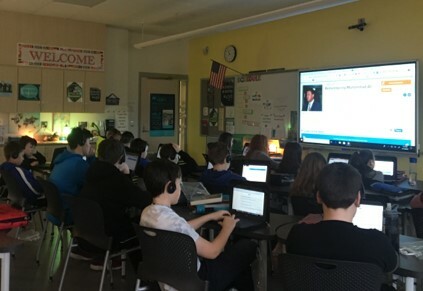 For example, while students were considering parts of the book on Flipgrid with global partners, we listened to the Listenwise story “What is it like to be a refugee?” which discussed a traveling exhibit by Doctors Without Borders where visitors could simulate the experience of being a refugee. In the audio story, a visitor to the exhibit felt that the experience was “too real.” We asked students, “What can you infer from this quote? ‘It feels too real now. I don’t want to – I don’t know. Part of me doesn’t even want to sit in here ’cause it’s too real. Like, I don’t want to go. I want to go home, not here, you know.’” Students needed some practice in speaking/listening skills, including making inferences, and the Listenwise story allowed them to listen for tone and intent. They then recorded their thinking on Flipgrid, stating which five things they would take with them if they suddenly had to flee their homes. 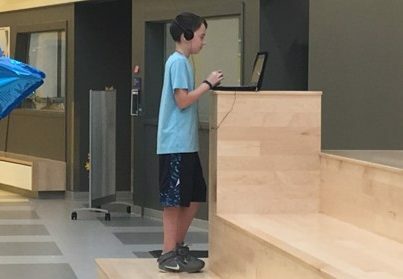 Students from around the world had access to this Flipgrid topic (and the Listenwise story), so they could share their thinking, too. We took students to the local Holocaust Museum to learn more about how genocide can force people to become refugees. There, they met with survivors or family members who described how life can change quickly when a group is targeted. Real-life examples helped students to recognize that refugees face challenges not only in faraway places – some may be our neighbors. Students wanted to know how they could help make life in a new place for refugees more welcoming and accepting. The Listenwise story about Helping Refugees Adapt to U.S. Culture was another relevant resource to support student inquiry. 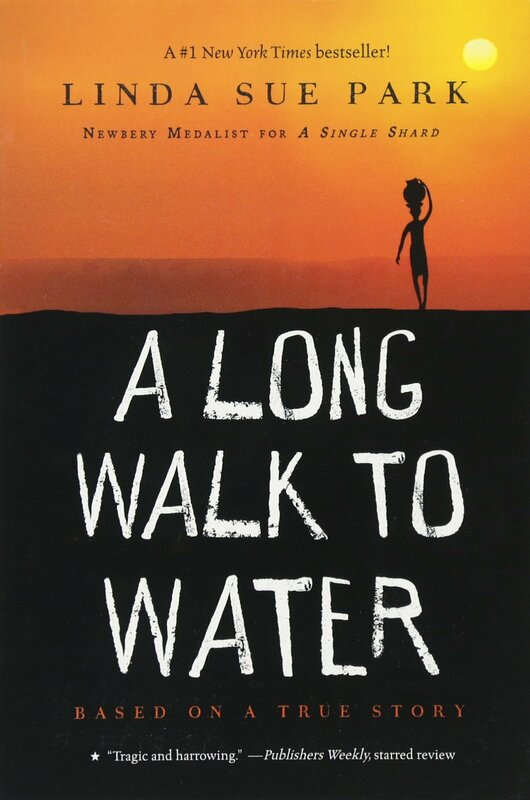 These resources informed the students’ inquiry and helped them determine their positions on the question: “Is A Long Walk to Water a book about water?” They expressed their positions through videos, using Adobe Spark Video, Google Slides (with Screencastify), iMovie, or whiteboard animations to post on Flipgrid. The project also set the stage for further exploration of the international Sustainable Development Goals, on which we base the rest of the school year’s curriculum projects. Connecting Listenwise stories to themes of novels or to the Sustainable Development Goals helps students tackle difficult subjects by introducing them through engaging, relevant, accessible stories. For example, a student was researching the SDG #14, Life Below Water, and listened to Ocean Plastic Cleanup Hits a Snag which was based on a student’s efforts to clean up the trash patch in the Pacific Ocean. This story connects to Ocean Warming is Forcing Coral Reefs to Adapt, which is another aspect of the Global Goal. Listenwise has been a helpful resource for supporting students’ inquiries and connecting them with the world outside the classroom. 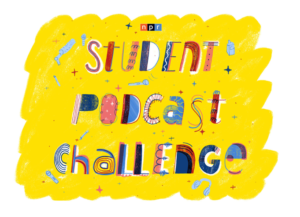 NPR is running a student podcast contest, and the March 15th deadline is coming up. If you are interested in getting in on the student podcasting fun, then fear not – you still have time to get involved. Check out our previous blog post with more details on the contest and find helpful podcasting resources. Keep reading for some ideas for creating your own podcasting projects in the classroom. 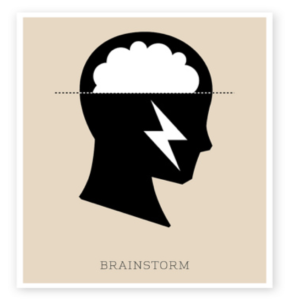 One way to help students quickly focus in on topics for their own podcasts is to invite the class (or smaller groups) to brainstorm topics about which they already have background knowledge. You could focus the brainstorm on topics they have been learning about in class, or or you could invite them to consider podcasting about their interests outside of school. You might suggest that they explore classroom resources for ideas, including the full collection of Listenwise stories. As discussed in our first blog post about this contest, there are many good podcast stories by students to use as models. Apart from the fact that they offer examples of engaging, relevant topics, these stories also provide great examples of youth reporter voices. Listening to these podcasts as a class or in small groups and then talking about what made the commentaries work can help students notice good journalistic storytelling practices. After listening to and discussing these stories, you can send your students off to record their full projects if you feel that they are ready. If you feel that they need more practice, you might use one of the stories as a model. 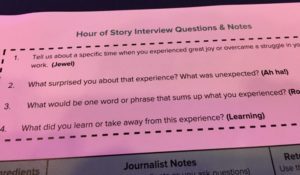 Ask students to record short 1-2 minute commentaries similar to the stories that they liked, using the same techniques they noticed in the youth reporter stories. Practicing by recording a lower-stakes audio project can help to make your students more comfortable and confident in recording their own voices. For example, the Promposals story is a great youth commentary on prom proposals at the reporter’s school. Natalie Bettendorf, the youth reporter, breaks down the prom proposal craze and how the proposals become more and more ridiculous using real world examples. Those examples help deliver her point in an interesting and engaging way. Ask students to look for qualities like this that they can incorporate into their own projects. Click the images below to check out some quality examples of youth reporting. In case you missed it, you can find out first blog post with contest details and additional youth stories here.